MONTREAL, November 3, 2011 – Amphetamine use in adolescence can cause neurobiological imbalances and increase risk-taking behaviour, and these effects can persist into adulthood, even when subjects are drug free. These are the conclusions of a new study using animal models conducted by McGill University Health Centre (MUHC) researcher Dr. Gabriella Gobbi and her colleagues. The study, published today in The International Journal of Neuropsychopharmacology, is one of the first to shed light on how long-term amphetamine use in adolescence affects brain chemistry and behaviour. Amphetamine is a psychostimulant drug which produces increased wakefulness and focus, in association with decreased fatigue and appetite. This drug, commonly known as “speed”, is also used recreationally and as a performance enhancer. According to the United Nations Office on Drugs and Crime (UNODOC) report (2011), more than 10 per cent of adolescents in the U.S. have used amphetamines. In Europe, between two and seven per cent of adolescents have tried amphetamines, and in Canada the number is estimated at just over five per cent. 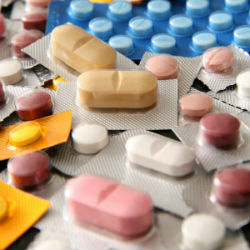 Researchers also noted behavioural changes in all dosing groups. Hyperactivity was observed in rodents exposed to a moderate dose of amphetamine during adolescence, while risk-taking behaviour increased in every dosage group. This paper was co-authored by Benoit Labonté (Master's student in Dr. Gobbi’s lab during the study and currently at the Douglas Mental Health University Institute); Ryan McLaughlin (University of British Columbia, Psychology); Francis Bambico (Yale University, Molecular Psychiatry); Ilaria Lucchino (University La Sapienza, Physiology & Pharmacology); Sergio Dominguez-Lopez, Rafael Ochoa Sanchez, (McGill University, Psychiatry); Marco Leyton, Gabriella Gobbi (McGill University, Psychiatry and RI-MUHC). Fellowships and scholarships were supported by Fonds de la Recherche en Santé du Québec (FRSQ), by the Canadian Institutes of Health Research (CIHR), by the McGill University Health Centre (MUHC) with the Research Institute of the MUHC, and by the Mexican National Council for Science and Technology (CONACYT).